The clock is ticking down to tomorrow Tuesday, April 2, which happens to be International Children’s Book Day. The April date traditionally commemorates the birth date of the first author to claim my heart, Hans Christian Andersen. This year’s ICBD official sponsorship was awarded to USBBY (the United States Board on Books for Young People) which serves as the U.S. national section of IBBY (the International Board on Books for Young People) which promotes international understanding and good will through books for children and adolescents. Spreading the joy of books around the world is easy and doable. Just check out USBBY’s blog for easy-to-replicate programs for readers, writers, teachers and parents. 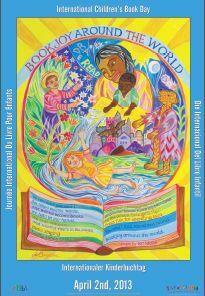 The website also offers links to USBBY’S 2013 Outstanding International Books List which recognizes books originally published outside the U.S. and now available from U.S. publishers. Many of the list’s books focus on international themes, reflecting shared commonalities of youth and a diversity of experiences all around the world. And FYI: the 10th IBBY Regional Conference “BookJoy Around the World” comes to St. Louis October 18th through 20th. Australian author Mem Fox offers the Briley Lecture. US and International children’s book creators, including Ashley Bryan and Pat Mora, extend the celebration. International children’s books were again front and center at last week’s Bologna Children’s Book Fair. Writing under the pen name of Marisol Misenta, Isol created more than a dozen books for children, including La bella Griselda, It’s Useful to Have a Duck, Petit, the Monster and Nocturne: Dream Recipes. She was chosen from a field of 207 nominated candidates from 67 countries. Check out the SCBWIEUROCON blog for updates from participants and their tweets too. The Conference hashtag is #SCBWIEuroCon. Of course, don’t forget: TeachingAuthors offers a Children’s Book of the Day from the International Children’s Digital Library every day! Just work your way down our blog page’s right-hand border. and a co-organizer of Eurocon. Hint, hint: Mina recently attended the Grimm Symposium in the Efteling Fairytale Forest in the Netherlands which celebrated 200 years of Grimm fairytales. And, Happy Birthday, Mr. Andersen! Whenever I have an idea for a picture book story, I open a fresh page on my computer and start typing. I write a one-sentence synopsis or a page of possible plot points or even three pages of pretty detailed notes on character-motivation-setting. Then I add it to a folder on my desktop labeled "pb ideas" and return to my work in progress. No matter how sparkly and enticing those new ideas may seem, I know I can't allow them to steal momentum from my current project. Eventually, I'll get back to them, right? How many times has that come back to bite me in the you-know-what? Wayyyy too many, unfortunately. I love reading through the fat issues of Publisher's Weekly that announce children's publishers' spring and fall lists. I hug it to me as I settle into a cozy chair, then casually begin paging through – la, la, la – thinking, "oh, cute," or "ooh, that sounds fascinating/interesting/intriguing," or "wow, great idea." This story has been in my file since I read about an identical incident in my hometown 7 or 8 years ago. Did I do anything with it? Nope. This idea has only been in my file for 3-4 years. My bird began as a parakeet harassed by the other family pets. Then, last year, I added: What if he were a barnyard chick? Now, I don't know either Ms. Moore or Ms Jennewein, but I can't help feeling a kinship. And I hope their books sell a bajillion copies. You can bet I'll be ordering them, because they sound ADORABLE, each in their own way. You can also bet that I've revisited my "pb ideas" folder and pulled a couple of stories out onto my desktop for immediate attention. Because that's the key. You can have the best story idea the world has ever known, but if you don't DO something with it, somebody else will. More and more, as Out There as this sounds, I believe that once a story idea vibe is floating around in the universe, more than one of us is going to receive it. So don't put it off. Write. The. Book. That's what I'll be doing. Book giveaway: We have a winner! Kristen Larson, you've won an autographed copy of Michelle Markel's and Melissa Sweet's Brave Girl: Clara and the Shirtwaist Makers' Strike of 1909 (Balzer and Bray). Congrats!! Last Friday, I blogged about the revision retreat I recently attended led by award-winning authors Julia Durango and Linda Sue Park. 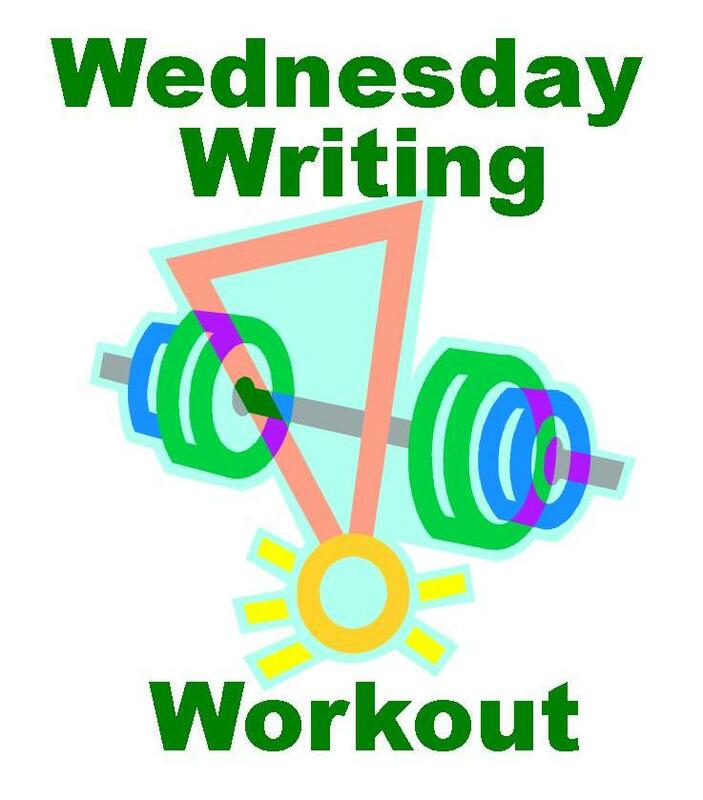 Today's Wednesday Writing Workout is a follow-up to that post. So if you haven't read it yet, please do so now. I also recommend you read this blog post by teacher Keely Hutton at Writer's Dojo, in which she has her students identify the main character's internal and external quests in a recent Disney movie. Is this harder than you expected? Here's one more example, shared by Linda Sue Park at the Revision Retreat and in The Craft & Business of Writing: Essential Tools for Writing Success (Writer's Digest Books). Speaking of Tree-Ear, the main character of her Newbery-winning novel, A Single Shard, Linda Sue says: "Tree-ear's external quest is to find a way to make celadon pottery. His internal quest is to find a place where he truly belongs." Does my main character make progress toward and/or face impediments to one or both of the quests? If the answer is "no," you need to either revise the scene or re-examine your character's quests. Repeat this step for the next ten pages and continue working your way through until you've analyzed the entire manuscript. 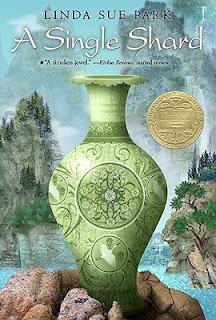 "Tree-ear, a thirteen-year-old orphan in medieval Korea, lives under a bridge in a potters' village, and longs to learn how to throw the delicate celadon ceramics himself." This synopsis explicitly states Tree-ear's external quest while hinting at his internal quest by mentioning he's a homeless orphan. See if you can do the same for your WIP: craft a one-sentence summary that incorporates your character's external quest and, if possible, hints at his internal quest. By the way, a book's one-sentence synopsis is very much like a "logline" used to describe a movie. For some helpful tips on writing loglines (including examples from well-known films), see How to Write a Logline at Cracking Yarns, and the follow-up post, How to Write Better Loglines. This incorporates the very external quest Kelly's students identified! Don't forget--today is the last day to enter our Book Giveaway! You could win an autographed copy of Michelle Markel’s and Melissa Sweet’s Brave Girl: Clara and the Shirwaist Makers’ Strike of 1909 (Balzer and Bray). Big deal, you are thinking. Isn't that what writers do? Well, yes, but if you've been following this blog for awhile, you know that for the last year and a half, posting here is the only writing I have done. There are writers who can write from the death bed of a loved one. There are writers who wrote from their own deathbeds. I am not that strong. I am a wuss who gets creatively torpedoed by a lot of turmoil. So has my life smoothed out? Has all the bad stuff gone away? I wish. Or, since you can't hear sarcasm in print...no. For some reason, my mind meandered back to when I was pondering potential motherhood. Would this be a good idea for me right now? (Eighteen years and one wild and crazy kid later, I still don't have the answer to that one.) I eventually realized that there was never going to be the perfect time. All I had was now. The same goes for writing. All I have is now, even if it is a messy and stressful and depressing now. If my work comes out messy and depressing...well, that's what revision is for. Just getting it out of my head and into the physical world is the Big First Step. About the time I decided I had to write again, I learned that my local SCBWI spring conference featured a writer I really, really wanted to hear. In addition to not writing, I had also not been attending writing conferences. I had signed up for a conference last fall, paid my fees, reserved my room. Told friends I'd be there. Then on the day I was to leave, yet another one of those emotional emergencies smacked me down, leaving me without the energy to back out of my driveway, let alone drive four hundred miles in three days. But this conference, no matter what happened, was fifteen miles from my house. I could do this. I did it. I made it to the conference. I not only heard The Amazing Speaker I Had to Hear, but I reconnected with my critique group buddies. They reminded me I always had a place at their table, no pressure, no judgment, no where have you been? They were meeting in two weeks. Could I make it? I could...and did. I remembered why for ten years, I had made that monthly 100 mile round trip to critique group. Writing is a solitary pursuit. There is no break room or lunch hour to commiserate with your co-workers. (Well, there is Facebook, but it's not the same thing.) We have to find out ways to stay connected to each other. Blogging is one way. Conferences are another. Critique group however, is where you connect on the most intimate level. This is where your fellow writers are not afraid to tell you the ruth. As I said in a previous post on critique groups, you are not there to tear each other apart, or pat each other on the back. You are there for constructive criticism...and constructive praise. You learn that you aren't the only one with a funky life. You learn that you just grab on to and hang on. To keep writing messy stuff, that you will revise and revise until it is better. And some day, life will get better, too. Don't forget to enter our latest book giveaway. You could win an autographed copy of Michelle Markel's and Melissa Sweet's Brave Girl: Clara and the Shirtwaist Makers Strike of 1909 (Balzer and Bray). I have my own copy on the desk next to me right now. Terrific book. Happy Poetry Friday! I'm not sharing a poem today, but I have included links to where you can get your Friday poetry fix at the end of this post. Linda Sue shares examples of defining these for her first novel, Seasaw Girl (Clarion), on her website. There, you can also read a bit more about her pre-writing work. At the retreat, Linda Sue explained that the quests are not cast in concrete--they can change and evolve as she works on a manuscript, and she talked a bit about how that happened with A Single Shard (Clarion). However, after she's defined the two quests, one step in her revision process includes analyzing every scene to make sure the protagonist makes progress toward and/or faces impediments to one or both of the quests. Speaking of tools, I've been reading up on using Scrivener for my writing. It does appear to have lots of neat features. I've downloaded the free trial and worked through the text tutorial. I'll let you know if I decide to try it out on a manuscript. Meanwhile, if any of you use it, I'd love to know what aspects you especially like. Also, I want to add that much of what Linda Sue shared at the Revision Retreat ties in nicely with the concepts presented in Lisa Cron’s Wired for Story: The Writer's Guide to Using Brain Science to Hook Readers from the Very First Sentence (Ten Speed Press), which Esther reviewed here last fall. 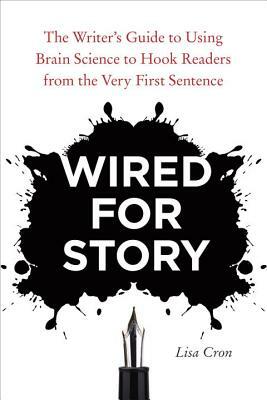 I finally picked up Wired for Story last month, and I have to say it definitely hooked me. The combination of the Revision Retreat and Cron's book is inspiring me to take a fresh look at two manuscripts I thought were "done." On a different topic: don't forget to enter our latest Book Giveaway! You could win an autographed copy of Michelle Markel’s and Melissa Sweet’s Brave Girl: Clara and the Shirwaist Makers’ Strike of 1909 (Balzer and Bray). Also, I'm sorry to report that wonderful TeachingAuthor April Halprin Wayland did not advance to the third round of the March Madness Poetry Tournament. :-( However, the competition continues, so do visit the live scoreboard to cast your votes before the tournament ends. And for more poetry, check out the Poetry Friday round up over at Gottabook. 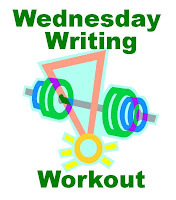 Wednesday Writing Workout: RIP and LIVELY Writing! I confess: I read obituary notices. And I’ve been doing so since I was ten. And me, a happy-go-lucky Sagittarius. But I so love learning any person’s story, who they are and what makes them tick, and that’s what a beautifully-crafted death notice offers: a mini-biography that tells the world a certain someone was indeed here. I first read obituaries in the Philadelphia Inquirer. 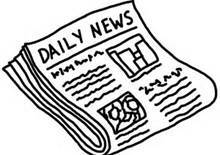 Next in the Chicago Daily News. Now in the Chicago Tribune. And I learned to write them – which is no easy task, I might add, while earning my Journalism Degree in the Annenberg School of Communication. A successful obit shares the necessary and expected details: the deceased’s name, hometown, birth date, place of birth, family members (including pets), education, professional affiliations; often the cause of death is included. The named recipients of any donations speak loudly. I treasure the occasional closing phrase that asks the world to remember and honor the deceased’s spirit by paying kindness forward, or wearing a smile, or never giving up. Another referred to the deceased as a true Woman of Valor. I love when adjectives such as cherished, devoted, adored, special modify nouns such as wife, father, grandmother, sister, cousin, friend. Kiddos laugh when I tell them I found my character Howie Fingerhut’s name in the obits. Or that I discovered the hero of the picture book biography I’m revising while reading the description of a certain woman’s great-great-great grandfather and the town he built in Illinois. I was already working up this Wednesday Writing Workout when I read how last week’s colorful Sun Herald obit of 80-year-old Harry Weathersby Stamps of Long Beach, Mississippi went viral and captured the world. Readers agreed: it was his daughters’ lively writing. “Harry took fashion cues from no one. His signature every day look was all his: a plain pocketed T-shirt designed by the fashion house Fruit of the Loom, his black-label elastic waist shorts worn above the navel and sold exclusively at the Sam's on Highway 49, and a pair of old school Wallabees (who can even remember where he got those?)..." Whether you knew him or not, there Harry was, in all his splendor, alive on the page. The words oozed grace, honor, respect, love. Read the obituary in its entirety, as it appeared in the Sun Herald. Note the nouns, the verbs and the well-chosen concrete details and how they define this man, encapsulate his life, capture his essence and celebrate his uniqueness. Of course, Harry Stamps’ daughters knew and loved him. They were privy to his story. Which brings me to today’s Wednesday Writing Workout. The Hero/Heroine from your current novel, picture book or biography? The character who stands in your Hero’s/Heroine's way? Someone you love, living or dead? 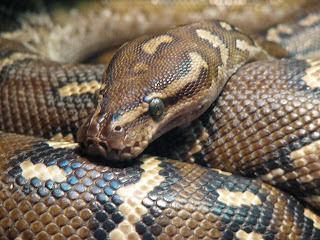 (2) Think about your subject, from birth to death (real or imagined). Who and what defined him/her/it? What was in his/her/its heart, gut, soul, head? Who was in your subject's life – daily, long-ago, every now-and-then? How would you encapsulate his/her/its life? What nouns, verbs and details convey your subject’s essence? How do you want the world to remember him/her/it? How would your subject want to be remembered? the people in their lives. (3) Include the requisite details – birth, hometown, career(s), family, etc. (again, real or imagined), even burial plans. (4) Order your details however you choose. (5) Visit @Legacy for even more ideas and sample obits. (6) Remember: you’re telling someone’s story in an abbreviated fashion – someone you know, likely someone you care about. What Five to Ten Things must be included so the World comes to know and remember your subject? Don't forget to enter our latest Book Giveaway Contest! Vote Tuesday for Round Two of March Madness Poetry Tournament! 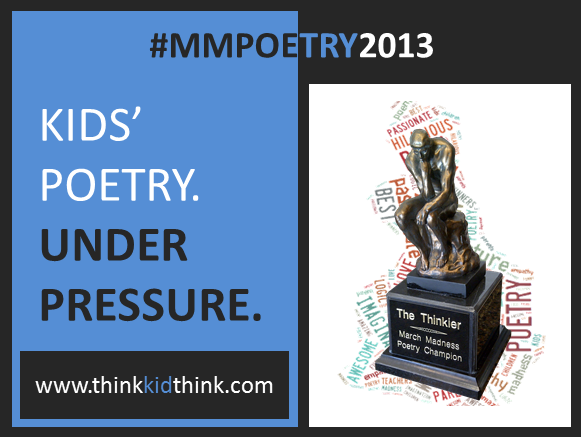 Round Two of the 2nd Annual March Madness Poetry Tournament (#MMPoetry2013) is in full swing! Here's the whole live scoreboard. 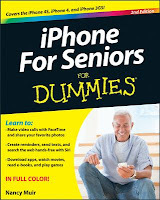 laughing hysterically for fifty-five minutes! 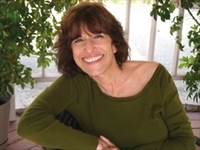 My opponent this round is the wonderfully original writer and poet, Buffy Silverman. Reluctant revisers are my single most intransigent problem as a community college comp teacher. 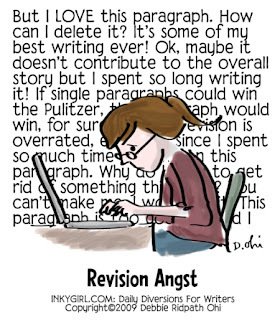 If I can't teach students how to revise and/or persuade them that it is necessary to do so, then how can I possibly teach them to become better writers? 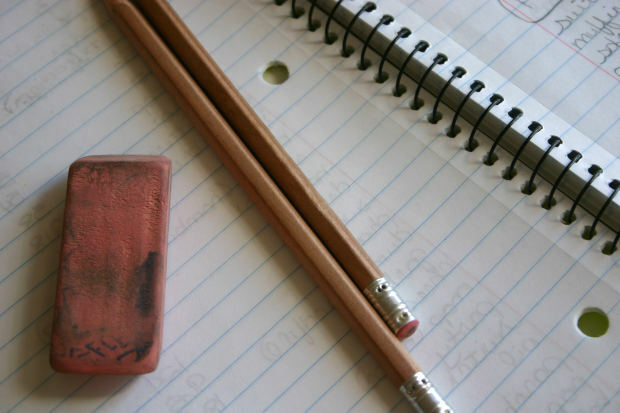 Commonly, at least 25% of students fail to submit a rough draft at all. Another 25% make very little effort at revision from draft to final. While lack of will is an apparent issue (as in the student this week who printed two identical drafts and labeled one 'rough' and one 'final'), I am fairly certain that another impediment is the lack of understanding as to what constitutes real revision. While I try to discuss and model revision in class, it seems clear to me that I'm failing to give students the tools they need to apply my words to their own work. 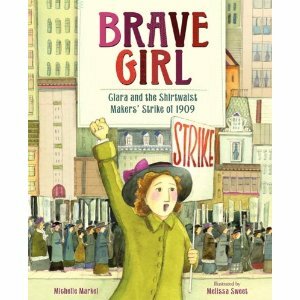 You could win an autographed copy of Brave Girl: Clara and the Shirtwaist Makers’ Strike of 1909 written by Michelle Markel and illustrated by Melissa Sweet (Balzer and Bray). You must follow our TeachingAuthors blog to enter our drawing. If you're not already a follower, you can sign up now in the sidebar to subscribe to our posts via email, Google Friend Connect, or Facebook Network blogs. c) tell us if you'll keep the book for yourself or give it to someone special. If you enter via a comment, you MUST include a valid email address (formatted this way: youremail [at] gmail [dot] com). Contest open only to residents of the United States. Incomplete entries will be discarded. Entry deadline is 11 pm (CST) Wednesday, March 27, 2013. Winners will be announced Friday, March 29. Good luck to all! 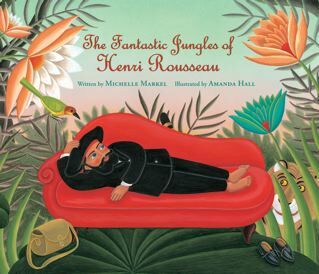 Magnificent Michelle Markel is today's Guest Teaching Author--and YOU can win her new book! I have the incredibly cool job of announcing the winner of Gone Fishing: A Novel in Verse by Tamera Will Wissinger; read the inspiring interview by Carmela here. The lucky winner is...debut author and blogger Peggy Eddleman--yay, Peggy! And if that isn't exciting enough, we have ANOTHER book giveaway contest beginning today, you lucky dogs! Entry deadline is March 27th. Details below. Today I'm excited to introduce you to a dear friend and fab author, teacher and blogger, Michelle Markel. Michelle's an avid fan and author of picture books, with a soft spot for biographies. 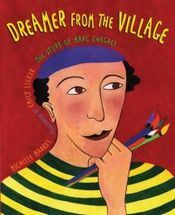 Her titles include Dreamer From the Village: The Story of Marc Chagall, and The Fantastic Jungles of Henri Rousseau, one of Booklist’s ten best children’s art books of 2012, and a New York Public Library Best Book for Reading and Sharing. Michelle is one of my fellow instructors at UCLA Extension’s Writers Program, and one of my colleagues in the Children’s Authors Network. She makes her home in California's San Fernando Valley, about forty miles from the ocean, where she claims her thoughts often drift. All of Michelle's books are original, beautifully written, and impeccably researched. Her latest book, and one you will surely want to win, is Brave Girl: Clara and the Shirtwaist Makers’ Strike of 1909, which received four (!!!!) 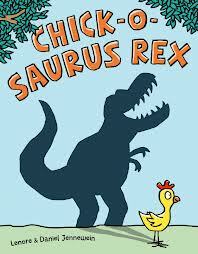 starred reviews and is a Junior Library Guild selection. It's the inspiring true story of Clara Lemlich, a young immigrant woman who led the biggest strike of women workers in U.S. history in that time. All this IN A PICTURE BOOK! So, MM...how did you become a Teaching Author? When my kids were in school, for fun and spare change, I taught poetry classes to children and young adults. As my career progressed, I began teaching adults what I knew about writing children's books and getting them published. I found it to be vastly rewarding. (A little secret is that instructors constantly learn things too). My favorite part of teaching has always been the writing prompts. (You've got lots of terrific ones on this website!) Nothing beats a front row seat to a burst of creativity, especially when the creator is surprised at what she's made. Thanks for your complimenting our writing prompts! What's a common problem your students have and how do you address it? Many students have problems writing for the picture book audience. They may use irony, abstractions, introspection, a sense of maturity, complex sentences, and cultural references unfamiliar to a young child. They need more exposure to picture book language, and practice on how to read mindfully- which is part of their homework. In class we look at passages from children's books for all different age levels. I ask the students to find what the texts have in common, and how they differ. I discuss the psychological and emotional stages of childhood development. I write awful passages and ask them to correct it, whole group. During workshops we talk about writing that seems too grown up. 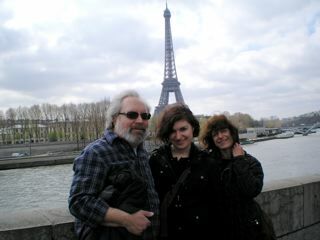 ...where I lived while pursuing a BA in French, which later led to an MA, and a visit with my husband and daughter. Write about two different characters who are placed into a new setting--the desert, the mountains, anywhere. One passage will be from the POV of a character who loves it, and the other from a character who hates it. This is an opportunity to practice characterization, use of imagery in creating setting, and mood. The results are often poignant and/or humorous. Can you share a story about writing or publishing? I thought my manuscript for Brave Girl might be my toughest one to sell. It's the story of Clara Lemlich, a fearless labor organizer who led garment workers on a long, difficult strike during the winter of 1909. 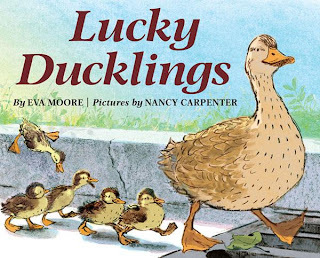 The text was undoubtedly dramatic, but on the other hand, it was gritty, and there hadn't been many picture books published about injustice in the workplace, and none about this woman in particular. Sometimes you just feel the call--and there's no turning back. I felt that Clara’s heroism--her return to the picket lines after multiple arrests and broken ribs--deserved to be recognized. I tried to capture her fiery spirit in the writing. Ironically, this manuscript helped me get an agent and not long after, a contract with one of my all-time favorite publishers. I'm fortunate that Melissa Sweet so sensitively brought the story to life, and I'm thrilled that it has been well received by the critics. Can you see why I'm a firm believer in taking risks, and writing with passion? Absolutely! Thanks for tackling such an important topic and congratulations on those FOUR starred reviews: School Library Journal, Booklist, Kirkus and Publishers Weekly--wowza! Thank you so much for sitting down for a cuppa tea with our readers and for offering an autographed copy of Brave Girl for our book giveaway, Michelle! And now Children, as promised, here's your chance to win an autographed copy of Brave Girl: Clara and the Shirtwaist Makers’ Strike of 1909 written by Michelle Markel and illustrated by Melissa Sweet (Balzer and Bray). 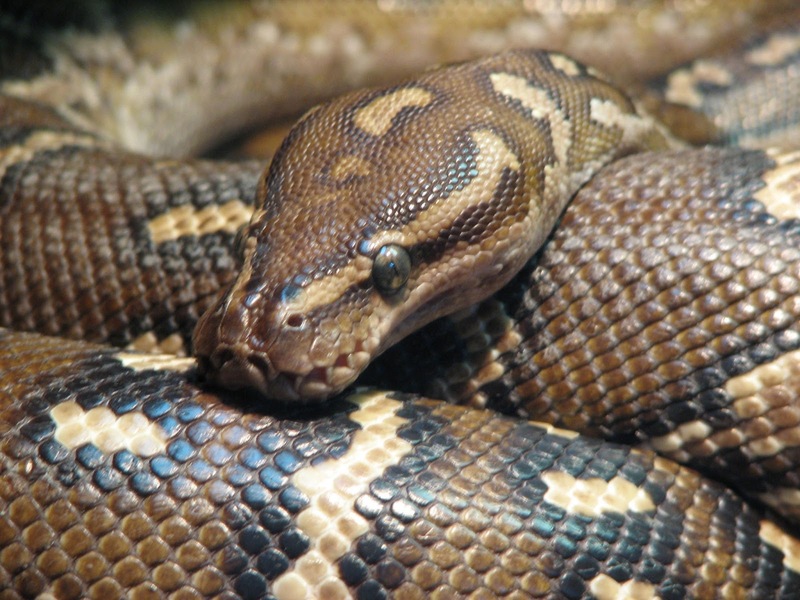 And now...take a few minutes and try Michelle's writing prompt before you go. You'll be glad you did. Poetry Friday is hiding today! It's at Ms Mac's blog, Check it Out, where she gifts us with a BEAUTIFUL poem by J. Patrick Lewis about Martin Luther King. Wow. Thanks for hosting, Jone! ...and do hop over to the 2nd Annual March Madness Poetry Tournament to watch your favorite "authletes" flex their poetic muscles and vote for your favorite poems! Just a quick post to tell you that the 2nd Annual March Madness Poetry Tournament (aka #MMPoetry2013) has begun! Devised and run by the demonic Ed DeCaria at ThinkKidThink!, 64 "authletes" write poems in rounds, just like basketball's March Madness. And madness it is, indeed! But the best part is this: you get to vote for the best poem in each round! Poets include Bruce Balan, who regular readers know sails around the world on his trimaran, moi, and LOTS of friends of this blog from the Kidlitosphere, especially those who frequent Poetry Friday. Meet all the authletes here! So, come on over and vote for your fav poems as they're unveiled! It's one big poetry game in the sky! Sometimes called an elevator pitch – because if you find yourself in an elevator with an editor and s/he asks what you're working on, you don't want to ramble on like a doofus (she said from experience) – the one-sentence synopsis is also an excellent tool for keeping your story on track during the writing process. Crafting a one-sentence synopsis has saved my bacon time and again. It cuts to the heart of the story, clarifies your main character's motivation, and illuminates the path from a story's beginning to its end. So give it a try. Write a one-sentence synopsis for your work in progress. 1. Your main character's name. 2. What it is s/he is struggling with. 3. What's at stake for your MC (if not readily apparent). 4. What s/he does to reach her goal or overcome the problem (if needed). Nadine, a braggy cow, gets into hilarious trouble when, to save face, she's forced to lead her friends on a nighttime hike through the spooky woods. That probably isn't what will be on the finished book's title page, but it's my one-sentence synopsis of this story. 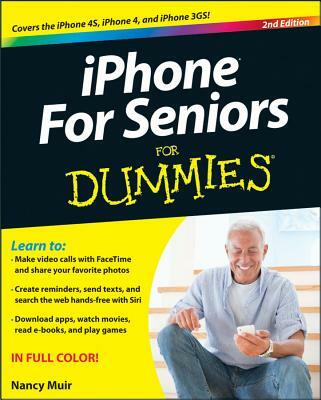 It pretty much tells you everything you need to know in deciding whether to read it or replace it on the shelf. If you care to, go ahead and put your synopsis into the comment section, I'd love to see what you're working on. Good luck! And don't forget to enter our giveaway for a chance to win Tamera Wissinger's Gone Fishin'. Hurry! Today's the last day. When it comes to celebrating Teen Technology, I feel Mary Ann’s and Jill’s pain. I don’t exactly qualify as a Teen. And, this is the book I’m currently reading. I sure do love to CLICK, then follow the links to CONNECT with all sorts of wondrous People, Places and Things. That’s why I’m wishing you a belated Happy World Book Day! This site is ripe with new books, authors and curriculum connections for readers, writers, teachers and librarians. to Writing Resources for the Common Core Classroom. Clicking and connecting I came upon a terrific timely opportunity for Kiddos co-sponsored by DC Comics and Capstone – The “Be a Super Hero, Read!” Writing Contest. Running through April 15, the Contest encourages kids in grades 3 through 6 to write about a real-life superhero in their lives. And speaking of writing Kiddos, how could I not click on the Denver Post’s Next Gen, the online newspaper for youth-written stories. I’d met several middle school reporters during my visit to the Colorado International Reading Association Conference in February. Click HERE and connect to Collin Colaizzi and his write-up of author and Writing Guru Ralph Fletcher’s talk on the importance of a Writer’s Notebook. It turns out that, despite my long-gone teenage years and my lack of Tech savvy, my Inner Luddite and I have had One Swell Time CLICKING and CONNECTING this past week, occasioning numerous opportunities to showcase our gelasins. Maybe someday soon I’ll be CLICKING and MANUFACTURING, thanks to the opportunities and possibilities of Tech’s newest child, 3-D Printing! Be sure to click HERE to enter to win Tamera Wissinger’s Gone Fishing: A Novel in Verse. You only have until 11 pm, Wednesday, March 13.